The daily wear and tear damages your teeth, even if you practice proper care. Everyday activities like chewing can harm your teeth and jaw eventually. Tooth abrasion is a major concern. If not given attention, this might lead to more complex conditions. Before this happens, you should minimize the damage as soon as possible. You can do so by using Occlusal Guards. Also called occlusal splints, these instruments help lessen the damage to your teeth and jaw. Occlusal Guards are removable dental appliances specially made to fit the arches of your teeth. They can be placed on the upper or lower arch. Their placement depends on where the damage is. These occlusal splints protect your teeth from further abrasion. They are largely used by people who clench and grind their teeth during sleep. Dental experts also recommend Occlusal Guards for other purposes like in handling jaw disorders and tooth restoration. A lot of people clench, grind, and gnash their teeth involuntarily while sleeping. Only 8% of people are aware they do. Unknowingly, you may be one of them. This condition gives you a number of concerns when you wake up. The most apparent of which is the pain in your head, face, jaw, or teeth. Consequently, chronic teeth grinding causes a lot of dental problems like malocclusion, tooth loss, and TMD. Avoid all of these issues by using Occlusal Guards while you sleep. These protective splints greatly reduce the detrimental effects of teeth grinding. They prevent damage on your teeth. Also, they help ease the tension on your jaw. This lessens your risk of developing a jaw disorder. People experiencing jaw disorders can benefit from using Occlusal Guards. Occlusal splints can relieve the pain brought about by this condition. They allow the muscles near your jaw to relax. As a result, tension is released and pain is reduced significantly. In addition, they also adjust your bite to a more comfortable position. This decreases stress in your muscles, teeth, and jaw. Lastly, Occlusal Guards are combined with tooth restoration techniques. They are used to prepare and stabilize teeth before the procedure. This makes the tooth restoration procedure a lot easier. 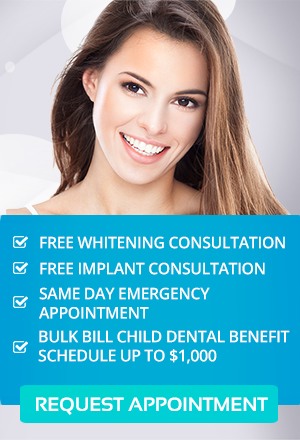 After the restoration, they effectively protect your newly-installed crown, bridge, or implant. Occlusal splints guarantee the utmost success of tooth restoration. Your teeth are made of hard, durable substances. Yet, this does not mean that they do not deteriorate. Protect your teeth from further abrasion using Occlusal Guards in Melbourne. These dental barriers are part of a dental cleans and dental checkups which help you maintain excellent dental, oral, and overall health.